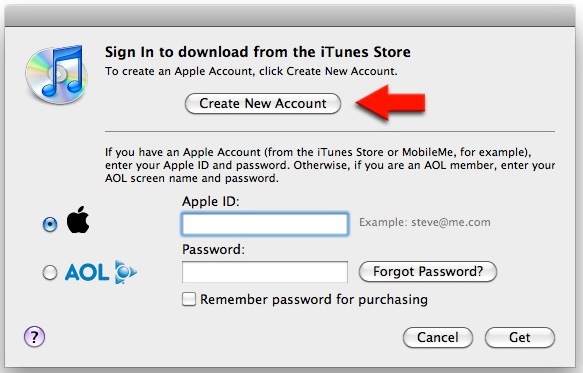 If you have a non-US iTunes account, and would like to download some US-only content, you need to do this. 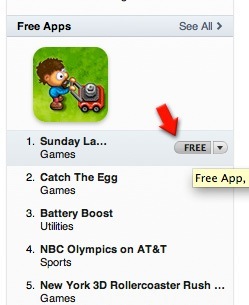 In iTunes, go to App Store and click on a FREE app. Continue, accept the terms, and continue (no screenshots provided).. 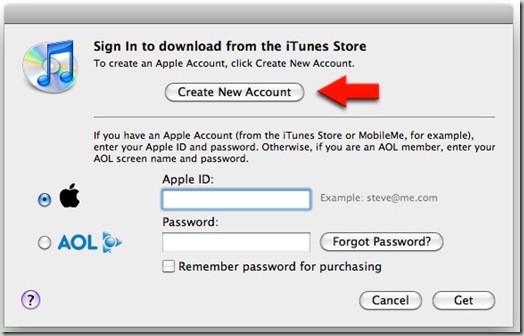 Fill in the account details. Note that we used a trick here. 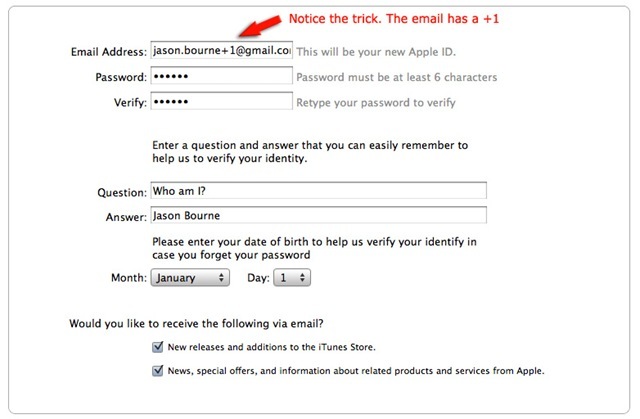 Let’s say your real email is jason.bourne@gmail.com, then you can register <[email protected]>. The verification email will be sent to your real email! You can use +1, +800 or +dog. This is a gmail feature and might not work for other email providers. 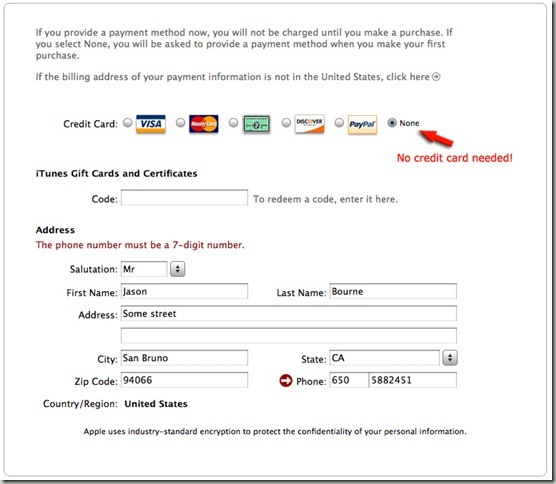 In the next screen, select None for Credit Card (if you have not follow the first step, you will not see None option). Many of the fields are required and will be validated eg. 7-digit number. 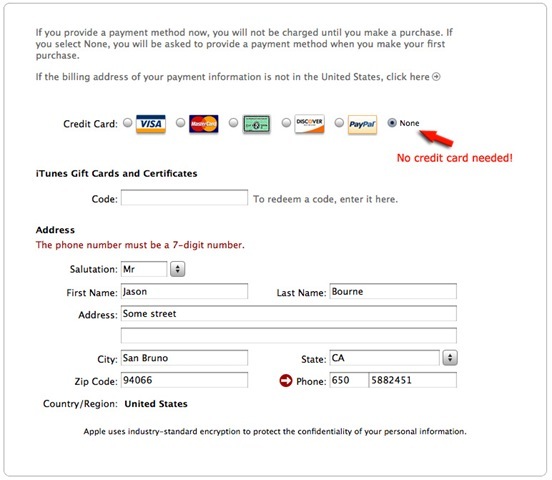 You could enter some bogus US address. One way is to go to maps.google.com and search for Starbucks in US. Almost done. 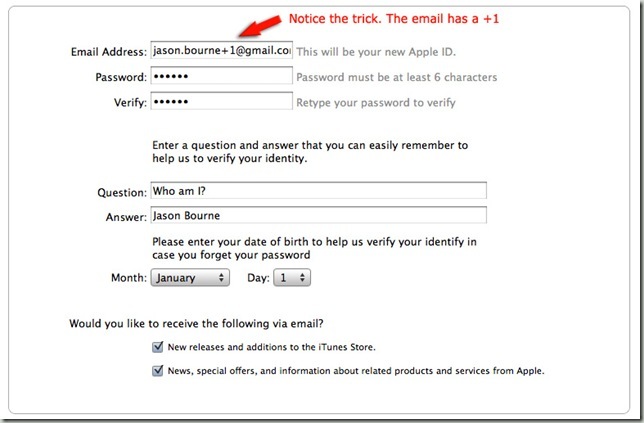 iTunes will send you an email for verification. It will be sent to your real email eg. jason.bourne@gmail.com. Click on the verification link, login and you are done!